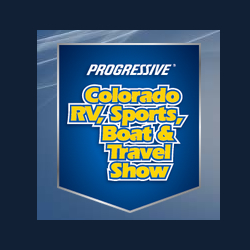 The Colorado RV, Sports, Boat & Travel Show takes place at the National Western Complex in Denver Colorado in March. If recreation in Colorado is a portion of your pastime and you are enthusiastic about all things travel in Colorado, this is the show for you! In additions to a wide variety of the latest RV and trailer models, you can browse jet ski and ski boats and other water craft, ATVs and the latest UTVs, motorcycles, and so much more! Get discounted tickets early or purchase tickets at the door. Need a hotel? If you are coming from out of town, find a Denver area hotel or lodging deal today. 80216, ATV Expo in Denver, Boat and Travel Show in Denver, Boat Show in Colorado, Colorado Boat Show, Colorado Camper Show, Colorado Car Show Events, Colorado Expo Events, Colorado RV Expo, Colorado Sports Boat and Travel Show, Colorado Travel Event, Denver Colorado Event Lodging, Denver Colorado Events, Denver Colorado Expo Hotel, Denver County Colorado Events, Denver metro Colorado Events, Discount Tickets RV and Boat Show, Events 80216, Events Lodging Colorado, Expo in Colorado Colorado Expo Events, Expo Lodging Colorado, Front Range Colorado Events, Hotel Deals for Denver, Lodging Deals Denver CO, Motorhome Show in Denver, RV and Sports Show in Denver, RV Show Denver, RV Sports Boat & Travel Show, Things to do in Denver with Friends, Tickets to the RV and Boat Show, Travel Trailer Show in Denver, When is the RV and Travel Show in Denver?, Where is the RV Expo in Denver?